The Verge was blogging live from the court when the jury announced their decisions.. Read the whole pronouncement of rhe sentence there. The whole lawsuit was not more then a bad joke! The jury and the judge were, seen on several occasions, clearly trying to protect the US company. A jury decided 700 patent law questions, without expert’s help, within what, 3 days? Then, after 2 mistakes were found (one of them: Tablet 10.1 N – NO infringement but nonetheless counting $219,694), they suddenly need help to solve? Bad joke jury. Samsung reacts in the best way they could: Saying the truth, Apple is evil and trying to limit innovation, fighting for TRIVIAL patents. PINCH TO ZOOM, Apple, ist THAT really whats causing people to buy in Iphone? Or bouncing lists? Is THAT worth $1.000.000.000 ? Starting to hate US justice (systems) more and more as it is producing the biggest jokes in law history. The fight is not over, Samsung says, and i hope so – one of the best cases to prove the (industrial design) patent systems are awfully wrong and limiting innovation for future technology. Allowing monopoles with trivia patents. SURE, Samsung tried to copy some aspects of the product, but be honest: That happens EVERYWHERE; EVERYDAY. The things Apple has patented are so basic that one is not coming around copying it, producing a high end smartphone. 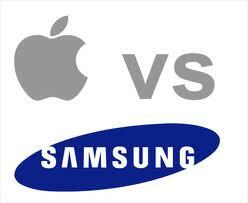 In my opinion Samsung proved that the „inventions“ of Apple are the same, Science Fiction Authors (and later, companys) had in the past, a long time before Apple came up with the iPhone or iPad. Or i-anything. See Star Trek DS9, for example. Sure, these things were only fiction or non functional models – but that is what the whole process is about: The IDEA, not the functional product. 25. August 2012 8. April 2018 StefanComments are off for this post.